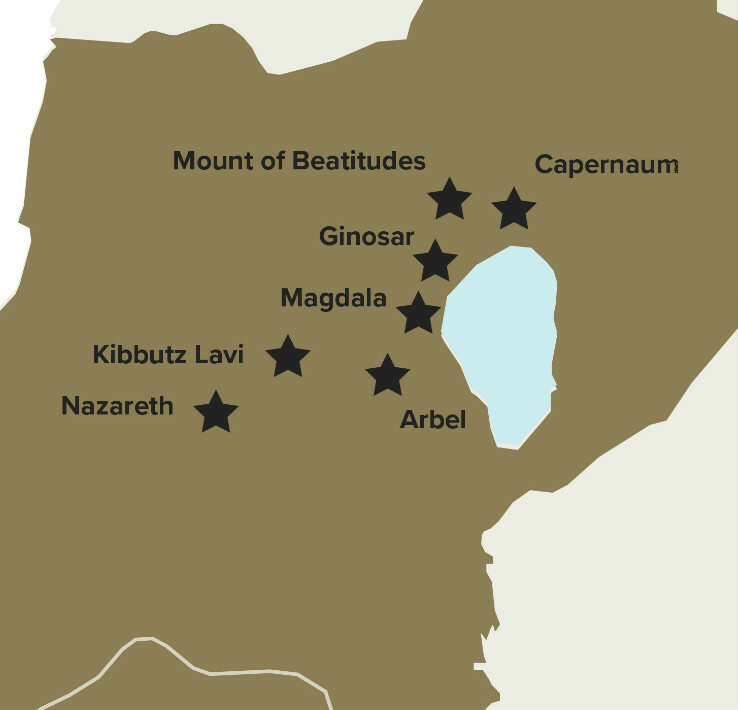 Take part in the Nazareth Challenge and experience the Holy Land in a completely new way. Choose from two events, either Walk the Jesus Trail or Cycle the Three Seas Challenge. Join us for an incredible 65km sponsored hike through the Holy Land. On this hike through beautiful and terrain, you will have the experience of a lifetime retracing the steps of Jesus on this challenging hike from Nazareth to Cana, Arbel, Mount of Beatitudes and the Sea of Galilee. Be part of this sponsored cycle through Israel. Our five day off-road cycle gives you the opportunity to see Israel like never before. Starting at the Mediterranean Sea, you’ll experience some of Israel’s most stunning landscapes as you cycle to the Dead Sea and the Sea of Galilee before the final climb to Nazareth. Join us for this incredible walk through Israel and experience Zippori National Park, the Sea of Galilee and the Golan Heights. 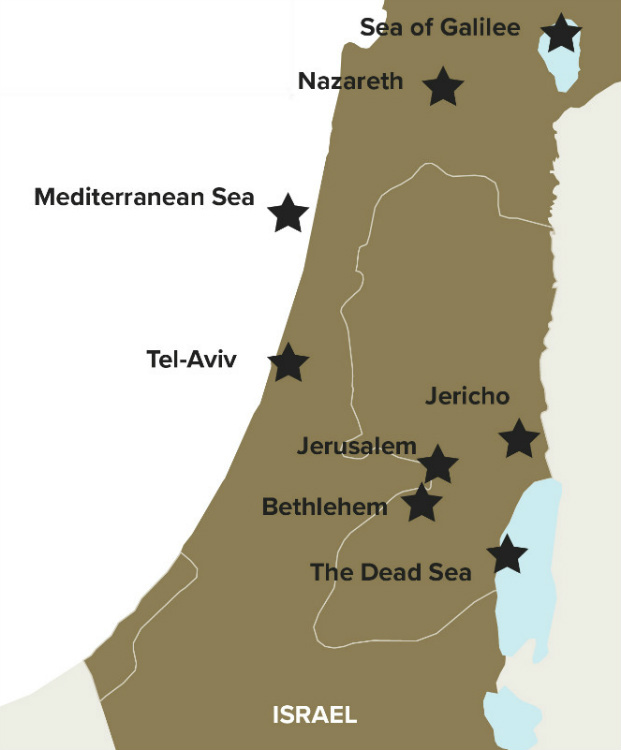 The trail follows many of the significant places from the life of Jesus. Each day of the walk is different and up to 17km in distance. The Jesus Trail is a challenging hike and requires a reasonable level of fitness. There will also be an opportunity to tour the Nazareth Hospital and experience first-hand the difference your fundraising will make. An optional period of devotion will take place each day. Airport transfer to and from Ben Gurion Airport, Tel Aviv. Available at specific time only. Accommodation on a shared basis (option for own room at additional cost). Meals (with the exclusion of arrival and departure days). Luggage transfer for each leg of the journey. Event Cost: $600*. Non-refundable deposit of $200 payable at time of registration. Balance to be paid by 30th November 2018. There is the option to cover your event costs with your fundraising. Please contact the event team to find out more. Fundraising Target: Suggested minimum fundraising – $1,400. *Costs correct at time of printing. Please be aware that flights are not included in these costs and must be organized by each participant. Our five day ride offers the opportunity to experience the Holy Land in a unique way. Starting in Tel Aviv, you’ll climb the foothills of Jerusalem and explore the old city, descend from Bethlehem to the Dead Sea and finish by cycling through the Galilee region and descending through the forests to Nazareth. The ride is set on non-technical off-road routes. You don’t have to be an experienced off-road cyclist but you will need a good level of fitness. Full support will be provided along the route. An optional devotion will take place each day. Event Cost: $1150*. Non-refundable deposit of $350 payable at time of registration. Balance to be paid by 30th November 2018. Fundraising Target: Suggested minimum fundraising – $2,800. Please be aware that flights are not included in these costs and must be organized by each participant. Over the last few years, the Nazareth Challenge has helped improve and save thousands of lives thanks to the support of our amazing participants. Their fundraising has supported a number of projects including the creation of Nazareth’s first Stroke Department and the refurbishment of our Paediatric Ward. Our 2019 Nazareth Challenge will fundraise for the Nazareth Hospital EMMS. Please get in touch or keep an eye on the Nazareth Trust website to find out how your participation will make a difference to the people of Nazareth. Why not get in touch and start your experience of a lifetime? Contact the Nazareth Project team today, use the button below for contact details.